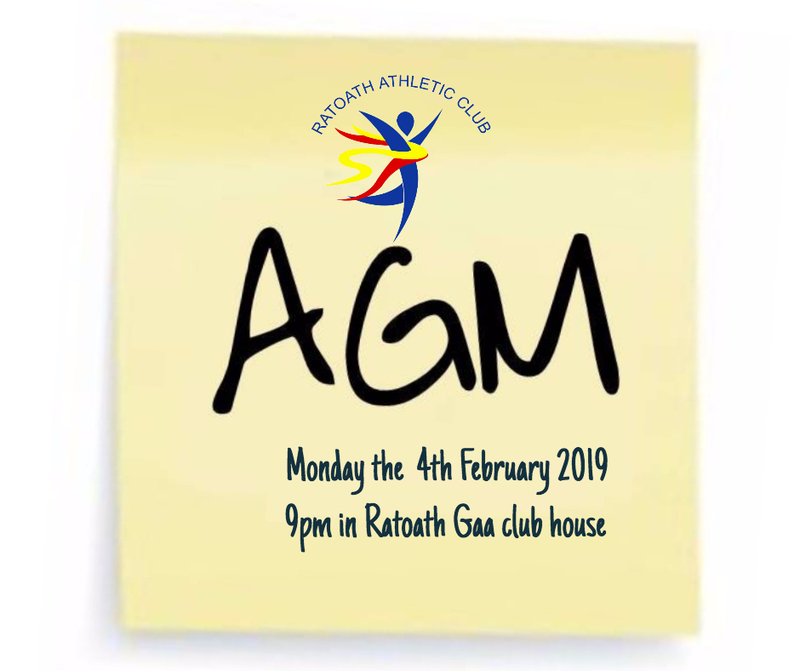 We Ratoath Athletic club are holding our Annual General Meeting on Monday the 4th of February 2019 in Ratoath Gaa Club House @ 9:00 pm sharp. All Members and parents of Juvenile members are welcome to attend. 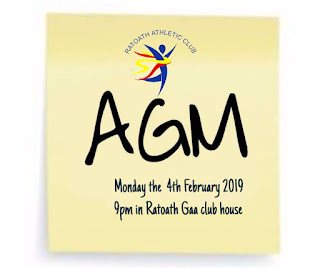 Nomination and Motions forms must be signed and you must be in attendance at the AGM to represent that motion.